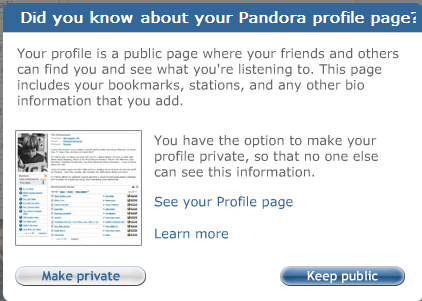 Pandora updates its privacy settings; encourages you to do the same. 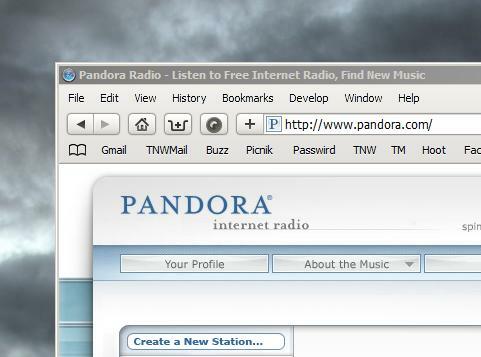 According to the Pandora Blog, there are some new changes to the privacy settings in the ever-popular music application. While we all might love the social aspect of the site, Pandora wants to make sure that you’re on top of the latest way to keep yourself private. We’ve just updated our site to make it easier for you to find and adjust your privacy settings. We thought it was important to make this adjustment to better reflect the realities of the internet today. While some users might not even be aware that they have a Pandora profile page, others are reliant on the profiles to find new artists. If you’re a mobile-only user, you should be getting an email soon explaining the changes.